Home Products Solac Hair Curler 7 In 1 Black 50W "Expert Total Style"
Solac Hair Curler 7 In 1 Black 50W "Expert Total Style"
Solac presents the Expert Toatl Styler. 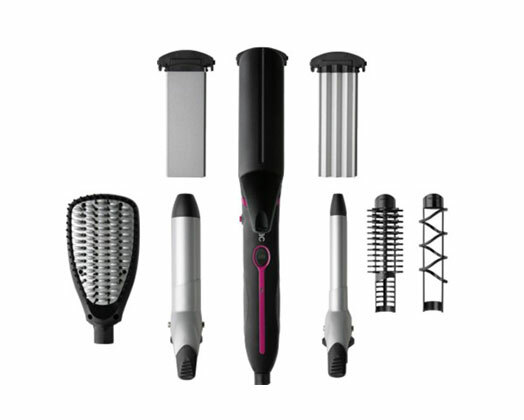 With this 7 in 1 multi styler, you can get as many looks as you can imagine. It comes equipped with 7 different accessories and achieves a variety of looks. A different look with the simple change of an accessory.